From the leaves of the Madagascar camphor tree in the Laurel family. A classic fresh, camphoraceous scent that opens, energizes and uplifts. 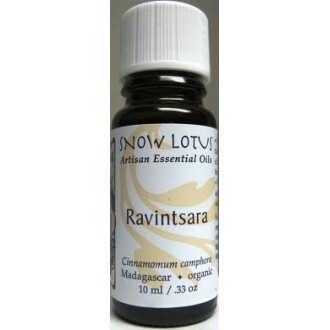 Ravintsara stimulates energy and mental clarity, as well as self-assertion. Helps relieve nervous exhaustion, withdrawal and burnout. Also used for acute congestion in the nasal and chest areas.